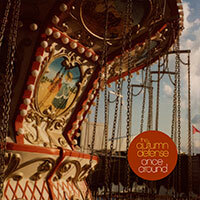 Wilco’s John Stirratt and Patrick Sansone join together once again as The Autumn Defense to bring you their fourth release. Once Around features late 70s-tinged AM gold, all draped in melodies that seem to have always existed. Beneath the surface however, lies “highly respectable songcraft and refined instrumental chops elevate…Once Around“, according to Direct Current. “I think it might be our strongest work. I know that’s kind of the cliché, but… I think it’s our most confident-sounding record.” says Sansone. Once Around is going for Adds this week, November 1 & 2.